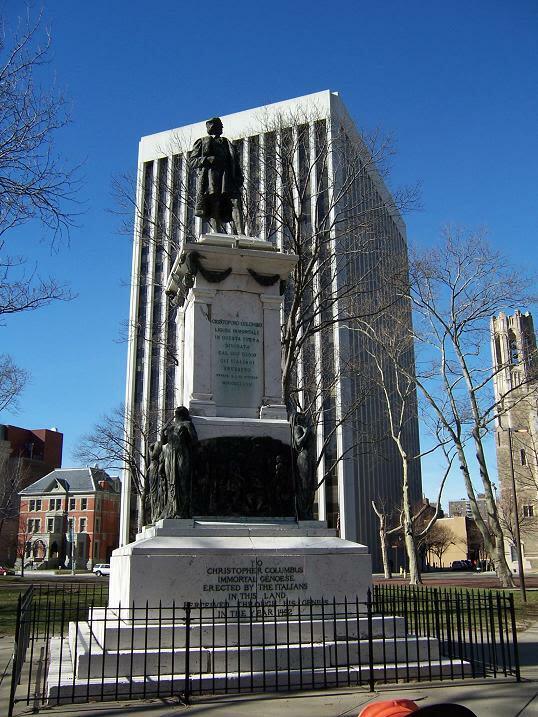 The Christopher Columbus monument in Washington Park was a gift of Newark's Italian community. 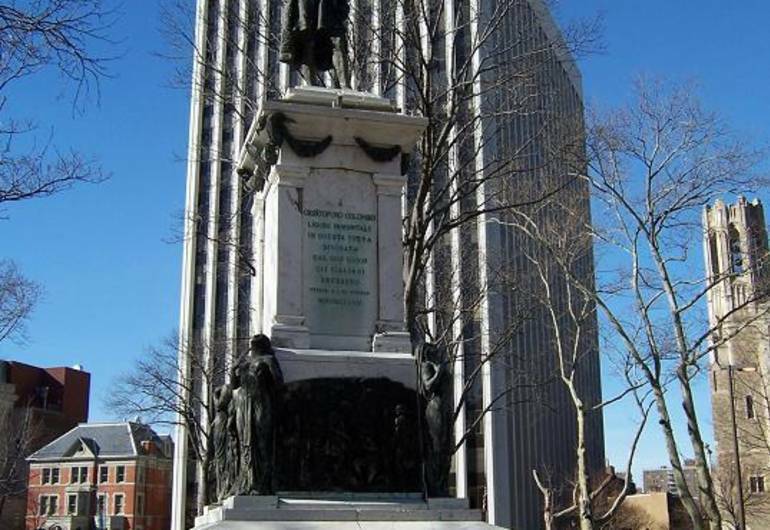 It is a bronze statue of Columbus on a tall square base adorned with four bronze relief plaques depicting the commissioning, embarkation, voyage, and landing of Columbus. Each corner of the base, between the reliefs, is adorned with a standing female figure representing discovery. Artist: Ciochetti, Giuseppe, sculptor. Title: Christopher Columbus, (sculpture). Dates: Dedicated Oct. 12, 1997. Medium: Sculpture and reliefs: bronze; Base: sandstone and marble.